Have you noticed that I'm getting a lot of wear out of this Fan Fringe Necklace? It just seems to go with everything summer related and I'm totally fine with that. Not to mention these silly heart sunglasses that scream summer, too! Gotta love summer accessories. By the way you may see this dress again... in a different color scheme. I picked it up at my beloved Joe Fresh when I was in New York and liked it so much I bought both colors it came in! I LOVE that dress- very unique! 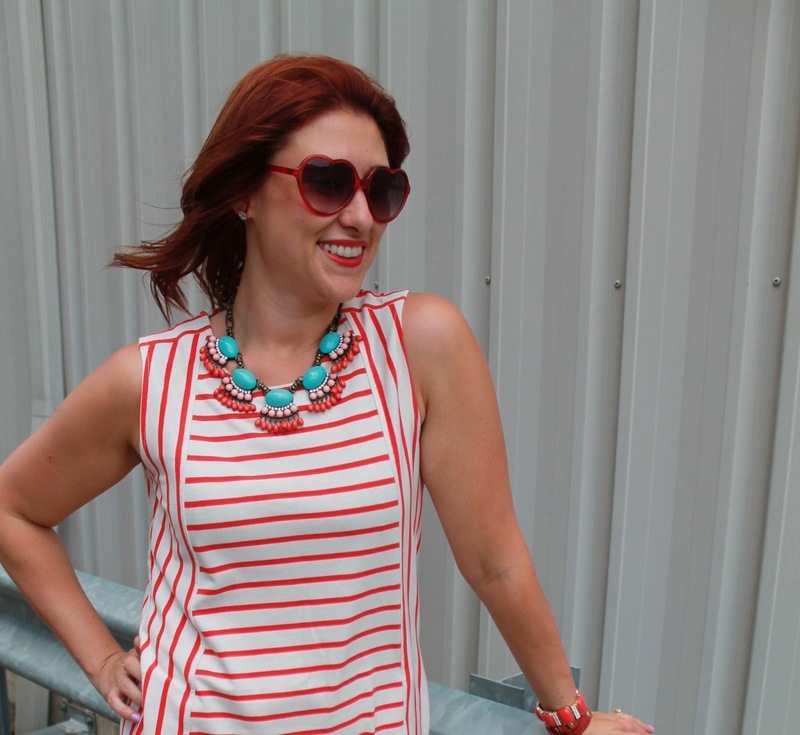 I can't blame you for putting stripes and a fun necklace on repeat - it's a perfect summer look! cutest dress ever! your hair blowing in the wind is dynamite! Happy First Birthday Hot Pink Style!! !